The JewishColumbus actively recruits on odd numbered years 11th and 12th graders for March of the Living, a two-week international experience where teens from around the world come together each year and bear witness to the destruction of the Holocaust in Poland and then travel to Israel to rejoice in the Jewish Homeland. Join fellow Jewish teens from Ohio and around the world in spring of 2019 to bear witness in Poland and celebrate the Jewish Homeland in Israel. 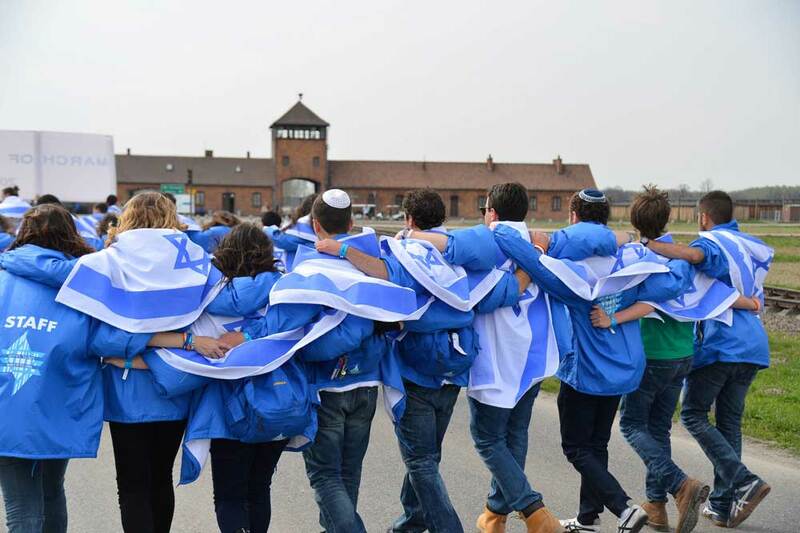 The March of the Living commemorates Yom HaShoah, Holocaust Memorial Day, march from Auschwitz to Birkenau, and it celebrates Yom HaAtzmaut, Israeli Independence Day, dancing in the streets of Jerusalem.